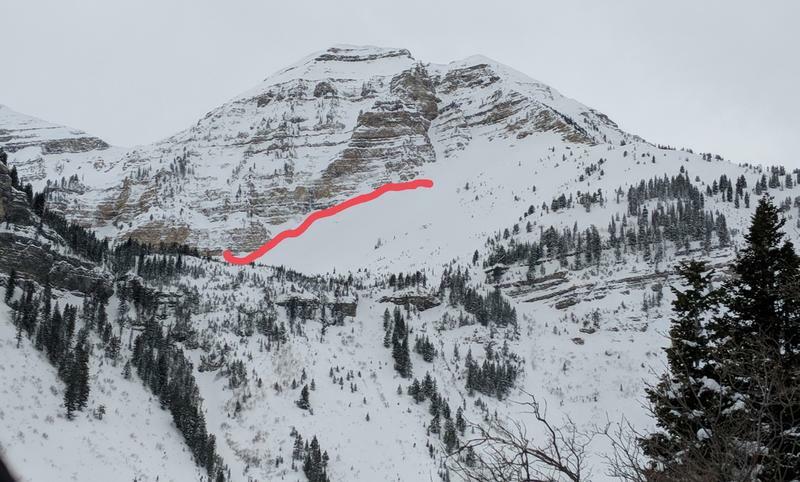 Multiple natural slides, one exceptionally large seen in the Woolly / North Timp area. Largest had crown of unknown depth at 9800 but at least 150 meters long on NE portion of Woolly Hole below the Grunge. Likely occurred yesterday or day before. Photo 1, from a distance. Second slide we watched come off of the top of Bomber Peak, 11,440 above Pika Cirque where the wind was ripping pretty good. E-NE facing. Photo 2. 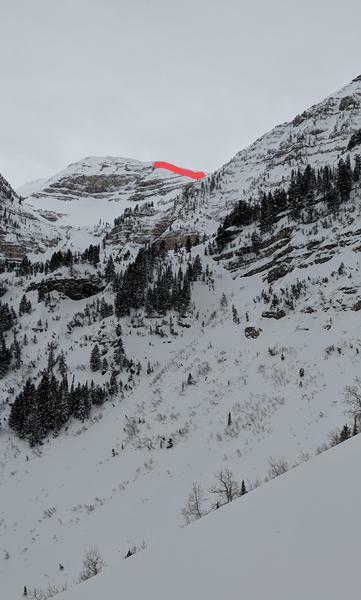 Last one was noticed below Whoolly in Corner at about 8,400 ft NE facing. Crown length of appx 20 feet, unknown depth. On second lap noticed in the terrible lighting that the crown extended lower. Photo 3. 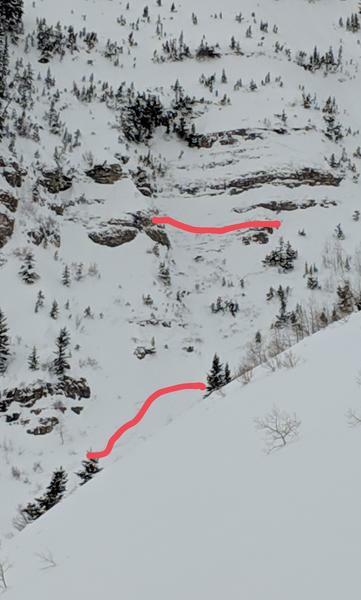 Many fun turns had on low angle north facing slopes on the ridge north of these slides.